How are you feeling right now? Maybe you’re happy, sad, excited, scared or something else entirely. One look into your eyes and the world knows — after all, the eyes aren’t called the window to your soul for nothing! But, when the eyes are camouflaged by distracting wrinkles, bags or sagging skin, the message you’re sending out may not be what you’re really feeling inside. The way your eyes age might make you look tired or angry (not to mention old!) all the time. When it comes to aging of the eyes, young and old alike complain about what bothers them the most. Santa Rosa, California-based Aesthetic Plastic Surgeon, Heather J. Furnas, M.D., says “sun damage and genetics play a major roll in how eyelids droop, wrinkle, and look aged.” These and other variables determine whether you’ll look old before your time. The good news is, “as long as there is a clear indication for treatment and the patient has reasonable expectations and is healthy, it’s never to early or late to treat these problems,” says Furnas. Though eye creams can be a very effective solution for dark circles, for most other eye issues you’ll need to dig a little deeper. In your 20s: Occasionally congenital fat deposits of either the upper or lower lids and early crow’s feet. In your 30s: Early crow’s feet, early hooding of the upper lids, and congenital bulging of the fat of the lower lids that becomes more pronounced. 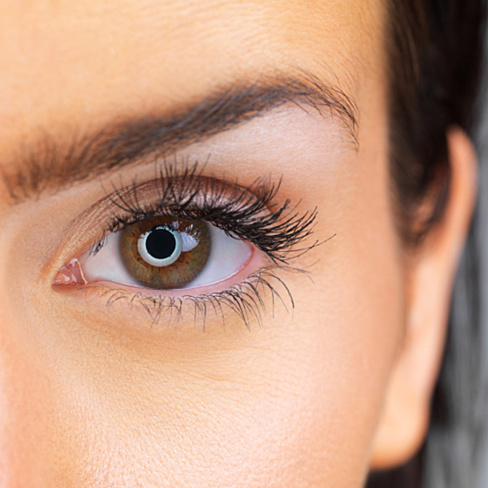 In your 40s: Crow’s feet, drooping of the lateral brows, hooding of the upper lids, bulging of the fat of the lower lids, lines and early folds of the lower lids. Tear troughs begin to deepen. In your 50s: Same as above, but upper lid skin droops more, upper lid fat (especially alongside the nose) bulges more, lower lid fat protrudes more. Tone of the lower lids may start to relax. Lower lids skin may fall into deeper folds. The upper lid may begin to droop so that it doesn’t open as widely as in youth (called “ptosis”). The skin thins and becomes crepy. In your 60s: The above process progresses. Peripheral eyesight may be obscured by hanging skin. Tone of the lower lid may begin to worsen. In your 70s+: Worsening of all of the above. EXTRA SKIN/BULGING FAT: Blepharoplasty of upper and lower lids. This can be combined with laser or chemical peel. Ptosis repair can be done for the inability of the upper lid to fully open. The lax lower lid can be surgically tightened. DEEPENING TEAR TROUGHS: Filler or fat injections or fat repositioning during blepharoplasty.